Over 200 Pilgrim 25s were built by Marine projects of Plymouth until 1974 when the boat was superseded by the Princess 25. 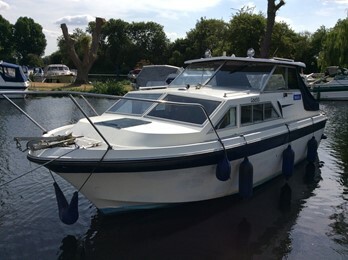 It has 4 berths in an open plan, a large cockpit with wheelhouse. The hull shape is medium V and the outdrive engines that were installed varied. Standing headroom in cabin is 5ft 10ins. Length of V berth 5ft 7ins.